Have you downloaded the new BT app yet? Virginia Tech has more than 16,400 parking spaces, a motorist assistance program, a fleet of approximately 300 vehicles, and a robust and award-winning alternative transportation program that includes daily shuttles from the Blacksburg campus to the Virginia Tech Carilion Research Institute in Roanoke. In addition to the 33,000 students and 13,000 employees, an estimated 60,000 alumni, parents, and community members visit the campus each year. Our permit information has changed. For more information click here. Effective 8/15/18 C/G permits will no longer be valid in the Perry St. area. Click here for more information. We can no longer offer pre-tax payroll deduction on parking permits. For more information visit here. 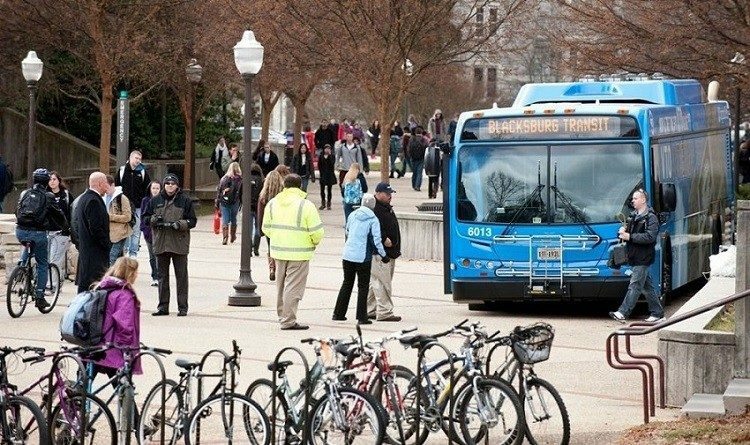 The Heads Up Hokies campaign encourages Hokies and community members traveling across campus on foot, bike, or by bus or car to keep their heads up and pay attention to their surroundings. FS permits will be available 07/11/2018 and students will be available 08/01/18. Parking permits for the 2018-2019 year are now on sale. Current permits for 2017-2018 expire Aug 31 (faculty/staff)/ Aug. 31 (students).